Prior to 1940, there was no standard way to determine the value of a diamond and buying one was somewhat akin to buying a pig in a poke. That all started to change when Robert M. Shipley formed an institute in his apartment in Los Angeles dedicated to researching and educating people (especially jewelers) about gems. He called it the Gemological Institute of America. From its humble beginnings, GIA became a world-wide phenomenon that eventually became a global gemology leader. 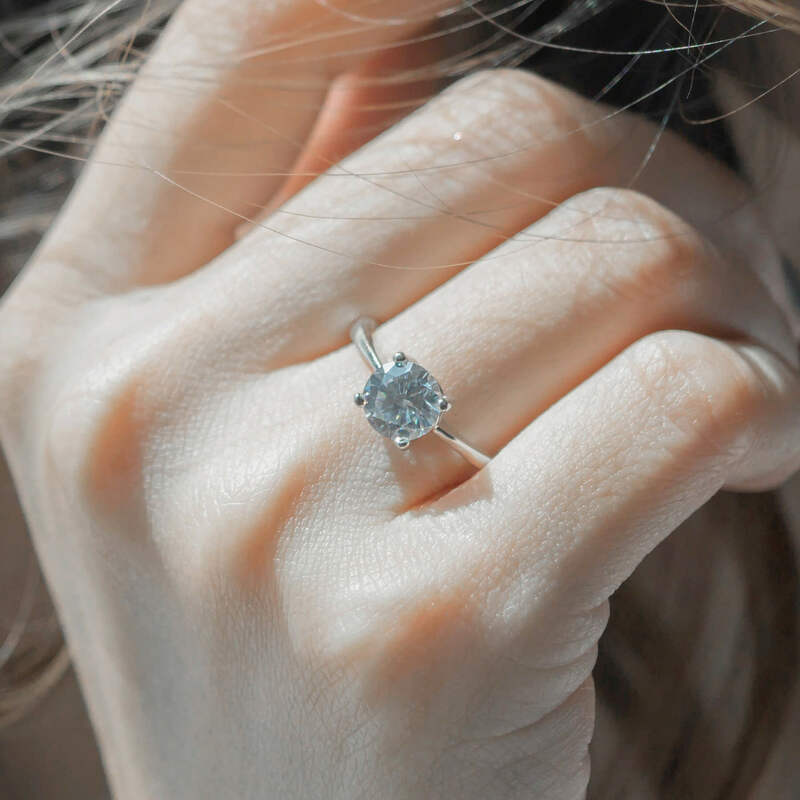 It wasn’t enough to establish a standard whereby diamonds could be accurately valued, it was also necessary to teach students and jewelers alike how to remember and explain what characteristics determined the value of a diamond. Therefore, he came up with a mnemonic device that was easy for his students to remember. He called it “the 4Cs.” With his direction, the term became the vernacular used throughout the industry to describe those characteristics.So what do the 4Cs represent? Cut refers to the way a diamond interacts with light, how it is proportioned, and the finish. What it does NOT refer to is the shape or arrangement of its facets. We often refer to a diamond as round-cut or brilliant-cut, for instance, but the Cut actually refers more to the craftsmanship put into the diamond and how it affects the brilliance of the gem. 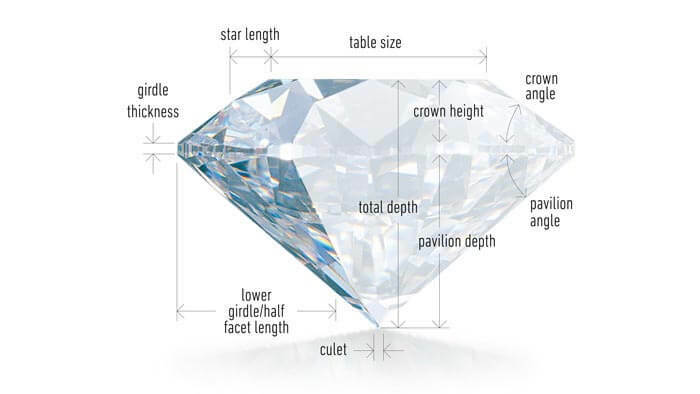 Cut determines the diamond’s sparkle and vibrancy. In fact, placing a well-cut, smaller diamond next to a larger diamond of lesser quality may actually fool your eye into thinking that the better cut diamond is actually larger. The American Gem Society grades cuts on a scale from 0 to 10, with 10 being poor and 0 being ideal. Their descriptors for cut, both numeric and verbal, are proprietary. The verbal descriptions are Ideal, Excellent, Very Good, Good, Fair, and Poor. Since Cut has the greatest influence on a diamond’s sparkle, it is the single most important characteristic. 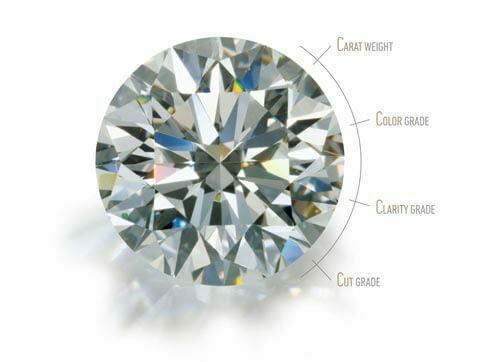 A perfect diamond with excellent clarity and color may appear dull if it is cut improperly. The correct proportions allow light to be returned out of the top of the diamond (called the table). Too shallow a cut forces the light out of the bottom, and too deep means the light escapes out the sides. So when you are evaluating a diamond engagement ring, look at cut first and buy the highest grade your budget will allow. Remember that a smaller, better cut diamond trumps a larger one with less quality. Clarity, as the name suggests, is the state of being clear or transparent. Clarity in diamonds refers to the presence or absence of internal inclusions or external blemishes. Those diamonds without these characteristics are extremely rare. Nevertheless, most of these flaws are not visible to the naked eye and need magnification to be seen. Inclusions normally form in diamonds when they are subjected to tremendous heat and pressure deep in the earth. Sometimes, they are caused by the violence of the diamond’s journey to the surface in volcanic eruptions. The atomic structure itself can be changed. Blemishes are flaws that develop during the polishing process or even by wear and tear on the diamond. A lab will determine the visibility of the flaws and how they impact the overall visual appearance. Size and severity determine the grade. Clarity is graded on a scale from the highest clarity (Flawless or FL) to the lowest clarity (Included 3 or I3). Ideally, a diamond should be colorless. Its value is directly dependant upon the amount of color in the gem. Diamonds are not all colorless, though. They come in a range of hues from no color to light yellow or light brown. (Other natural colors, like blue, pink, or red use a different system to determine their value.) One color that has become rather popular is black. If it is a natural black diamond, the color comes from dark inclusions that are so numerous that they do not allow light to escape. However, most black diamonds are treated. They are actually not black, but green so dark it appears black, yet not opaque. Color is graded on a scale from D (meaning colorless) to Z (meaning light color). All diamonds from D-Z are considered white, even though they may have slight differences in actual color. 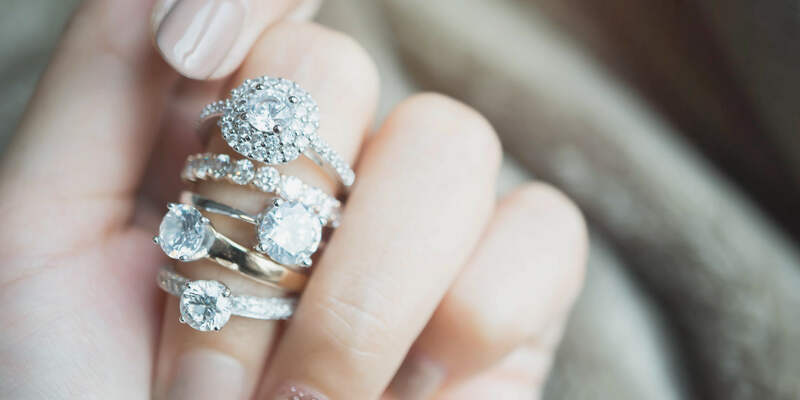 Even a trained gemologist may have trouble distinguishing one color grade from another just above or below it unless the diamonds are compared in a controlled environment next to each other. When grading for color, an all-white background is used. 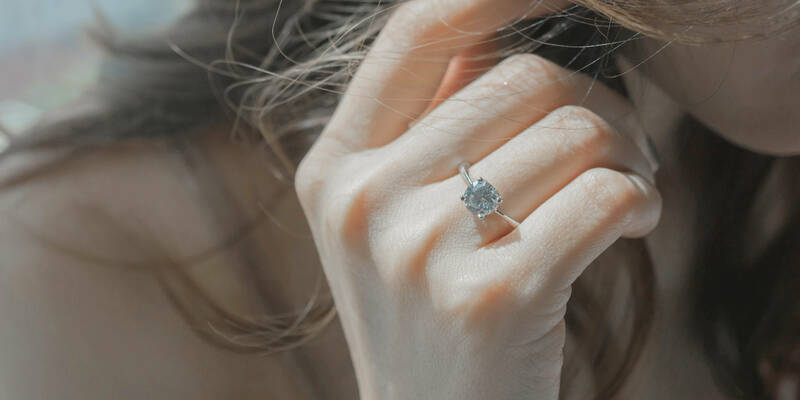 Once the diamond is set in a ring and under normal lighting conditions, it becomes even harder to tell the true color. The metal used for the setting can seem to alter the color of the diamond, too. Yellow gold will tend to hide small amounts of yellow in a gemstone, while white gold will make it more apparent. When carat weight increases, color becomes more important because color is more evident in larger diamonds. The metric carat is the standard used to weigh diamonds (and other gems as well). One carat is equal to 0.2 grams which is just about the same as the weight of a single paperclip. A carat is divided into 100 points, similar to how a dollar is divided into 100 cents. This is the least important characteristic when determining the value of a diamond because two 50-point (or half-carat) diamonds can be dramatically different in value, based on the other 3 Cs. 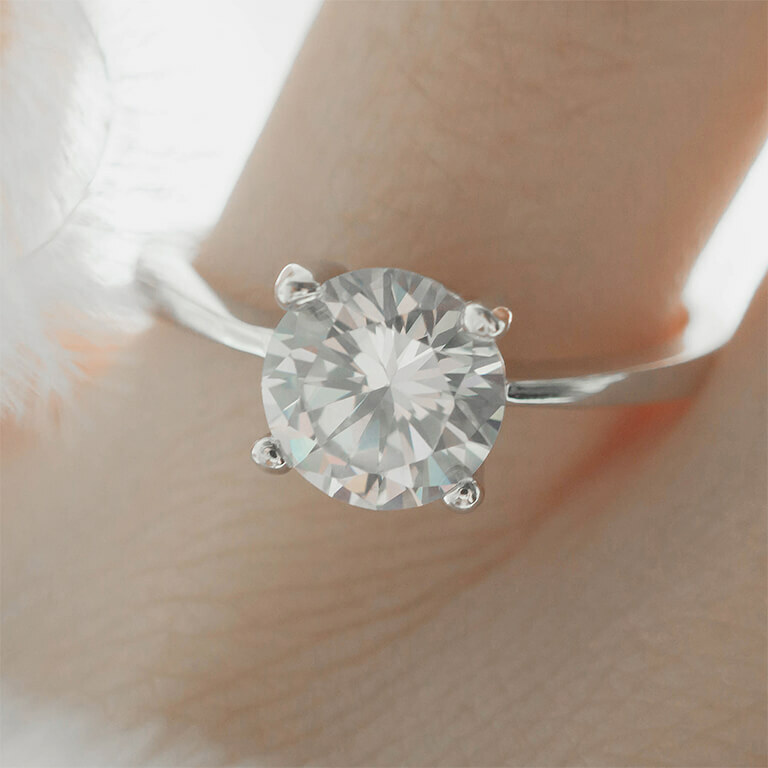 Still, since even a fraction of a carat can considerably alter the purchase price, it is crucial to be precise. This precision means that diamond weight is often measured to the hundred-thousandths of a carat! If a diamond weighs more than one carat, it is expressed in carats and decimals. So, for example, a 1.25 ct. stone would be said to weigh "one point two five carats." Believe it or not, the carat derives its name from the carob seed, because these tiny seeds have a fairly uniform weight. Early gem traders used carob seeds as counterweights to determine the weight of a gem. But that was in the early days of trading diamonds. Now, the modern metric carat weighs exactly the same all over the world. You want to make the engagement ring all about her-a perfect reflection of her uniqueness and charm. The setting is your opportunity to create a custom statement just for her. The diamond may be the star of the show, but the setting is the stage. The right setting will show off her diamond, compliment her style and reflect her personality. From the purity of platinum to the warmth of rose gold, your choice of metal can both match her sense of style and make a statement on all its own. It's smart to have a number in your head before you start shopping. The old rule of thumb for engagement rings-three months salary-is not necessarily for everyone. Take a realistic look at your salary, your savings and your plans for the future. Pro Tip - You're on a budget but she's on a high-carat diet? Make up the difference by adjusting the clarity and color grade. 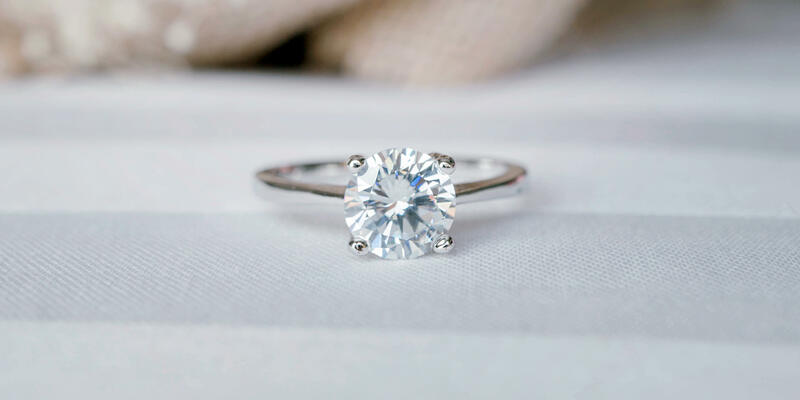 When you propose,you want a ring you can slip on your fiancee's finger as snugly as Cinderella's shoe. It's time to do a little detective work. Ask her best friend. They have shopped for rings together.Trust us on this one. Get a standard size. 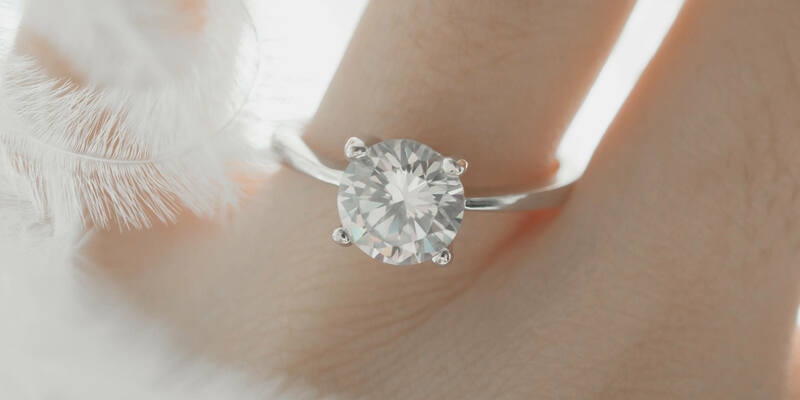 You can always have it resized later.Our jewelers are pretty amazing that way. The bottom line buying diamonds today is a whole lot easier since the GIA assigned values based on a uniform scale. Diamonds are compared objectively because of the universal language used everywhere. The 4Cs of diamond quality communicates exactly what a diamond purchaser is buying. Cut is the most important quality to consider. The fire, sparkle, and brilliance of a diamond is determined by the cut. Color is determined by how close a diamond is to being colorless. The less color there is, the more valuable the diamond is. 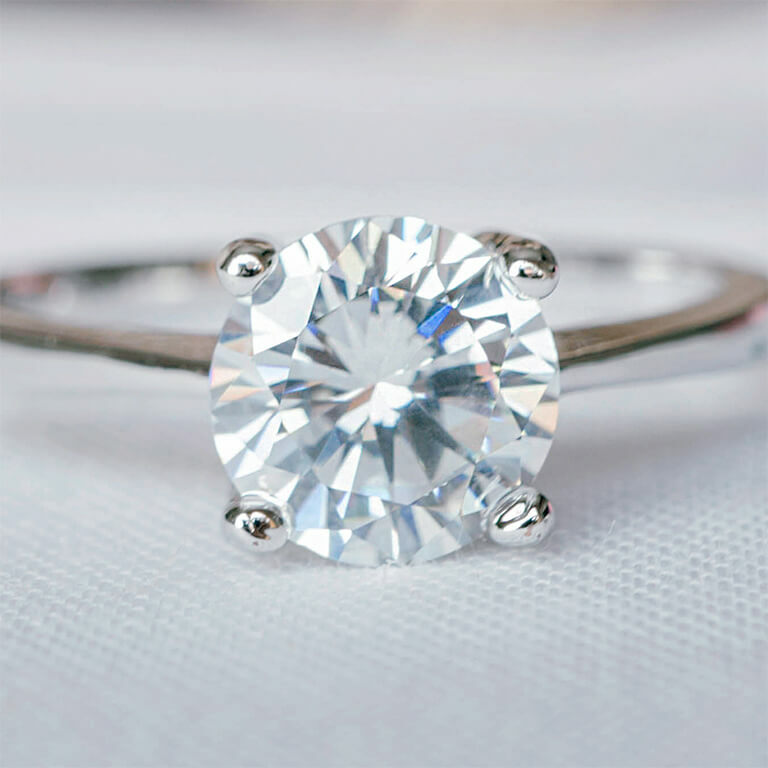 Clarity is based on the number of blemishes and inclusions that are visible in the diamond. The fewer of these flaws, the rarer and more valuable the diamond is. Carat is the total weight of the diamond without its setting. Don’t confuse it with karat, which refers to the purity of gold. 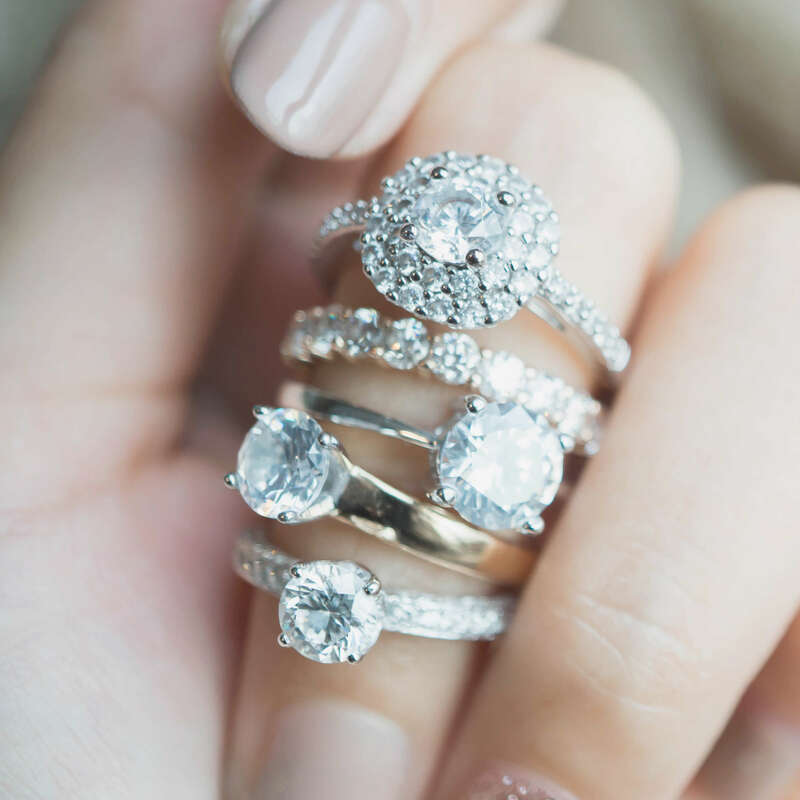 With all this information at your fingertips, buying a gorgeous diamond engagement ring for your intended just got a whole lot easier. And by the way, congratulations!